'Great to be back in McGonagles' said Bono after I Will Follow, and tonight the 3Arena could have been that fabled Dublin club where the band last played in 1979. Not that President of Ireland would have been in the audience in 1979. Michael Higgins was here tonight, as was Shane McGowan of The Pogues, 'right in front of you' during Beautiful Day. Nor would there have been a Brazilian POP-era Bono, in boxing gown and Fly-shades, up on stage to spar with Songs Of Innocence-era Bono in Mysterious Ways... or shoot the band on camera for a global broadcast of Desire. Nor would there have been pages falling from the rafters during Until the End of the World, pages from Dante and pages providing information on 'Justice For The Forgotten'. Out of Control was back in the set tonight, along with Desire and Angel of Harlem and what about this for a stat from @U2gigs? Bad tonight was making it's 500th known full performance. Was it ever more spine-tingling, segueuing so beautifully into '40'. If you were there, you will have known that was some special show. Tell us what it was like and add your photos here. And check out these great reviews of night one in Dublin, including, in The Irish Independent, a mention of McGonagles... and everywhere else in Dublin the band have played. And in a concert overflowing with highlights,’ added Eamonn Sweeney. 'Sunday Bloody Sunday' segueing into 'Raised By Wolves', a song about the devastating Dublin and Monaghan car bombs of May 1974, is a stunning, jaw-dropping moment. It proves U2 haven't lost their capacity to interpret the tangled history of this troubled isle and continue to ask searching questions. The song concludes with the simple message: "Justice for the Forgotten." The Irish Mirror put it like this: 'Crowd pleasers Vertigo and I Will Follow really got feet stamping as the four-piece went for a more intimate setting for this tour rather than the huge stadium shows they are famous for. The sound came evenly and cleanly through huge speakers hung on the ceiling throughout the venue. 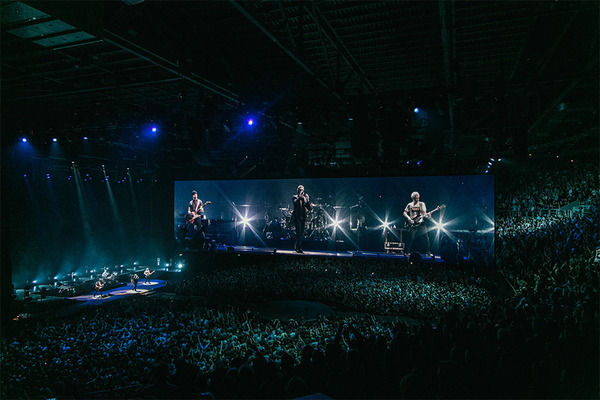 Were you at the second show in Dublin? Tell us what it was like and post your photos here, and check out the social stream from the night.